Today, I finally remembered to bring the camera with so we can take some pics of us climbing. This wall is in the back of the gym we have a membership to. 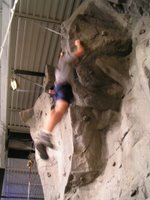 It is actually not so high, about 20 feet only, but its fun because the wall is actually shaped like a real rock, so in some places you can grap at a fake rock hold, or you can try to grip the rock itself. Above is Romy climbing, and doing his hanging stunt. He can climb every part of the wall, except this side-route, which is pretty tough. 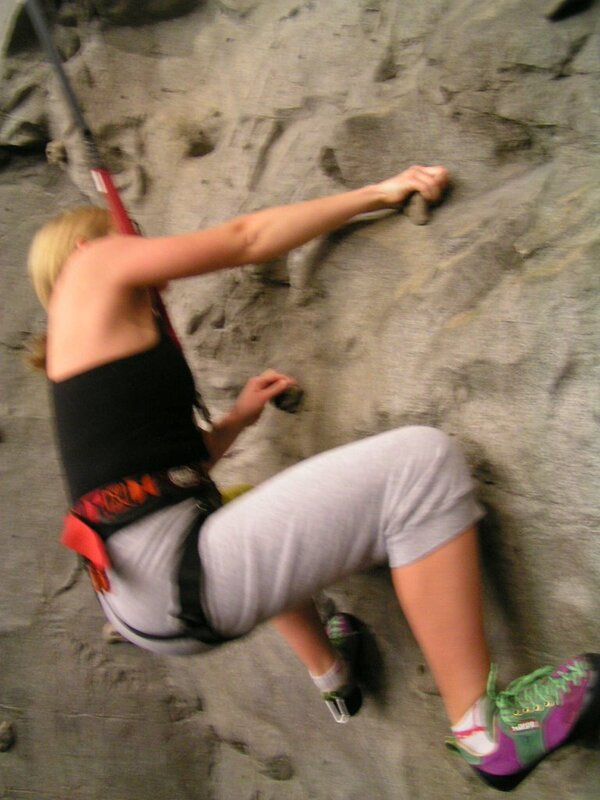 There is an automatic belay machine that pulls out the slack when you climb up, and lets you down slowly when you jump, or fall off the wall. I like it, except that is is positioned about two or three feet off the wall, and it keeps pulling you back off the wall as you climb. 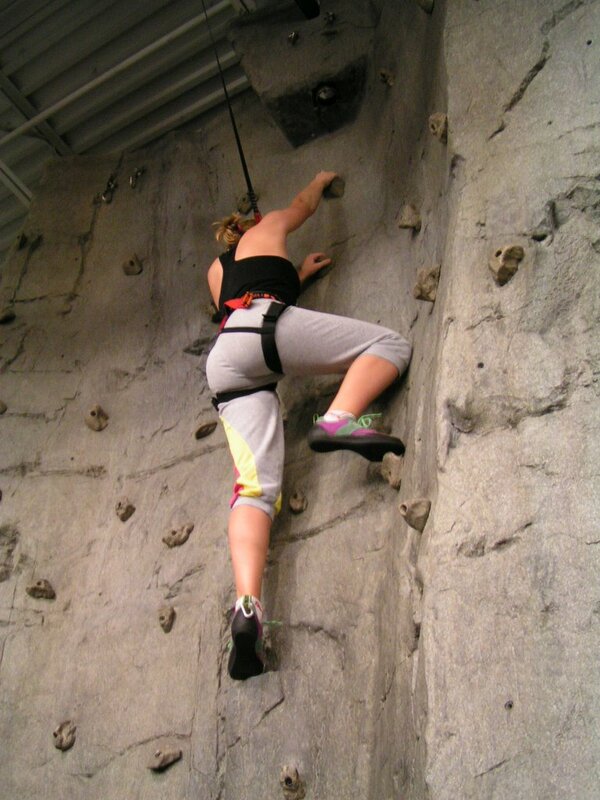 But its better than a person belaying you because the person sometimes lets you cheat by helping "pull" you up. 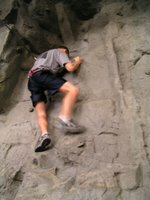 Next is me, and I am working on getting over the hump that is created by the "natural" rock. It is tough because I am kinda hanging backwards, plus the rope pulls me backwards, and I kinda have to jump to reach the next hand hold. The rock cut my finger in that picture (it sucked!). The second pic is me on the easiest route. It is like a warm-up now, but when I first started, it was hard! Hehehe I can't believe it was so hard before!! !